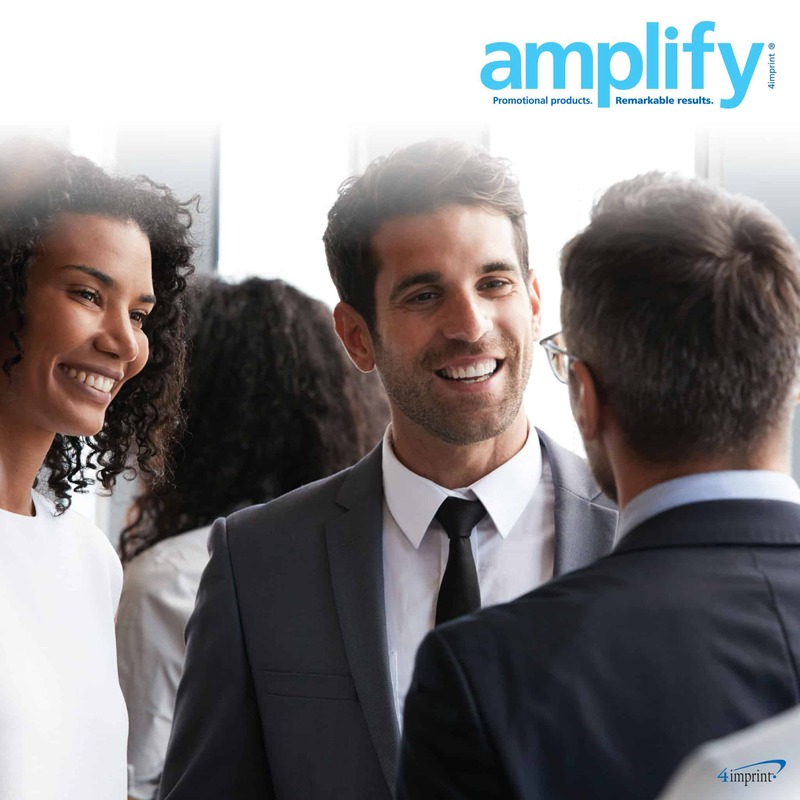 Check out the amplify® winter 2019 issue in your web browser! 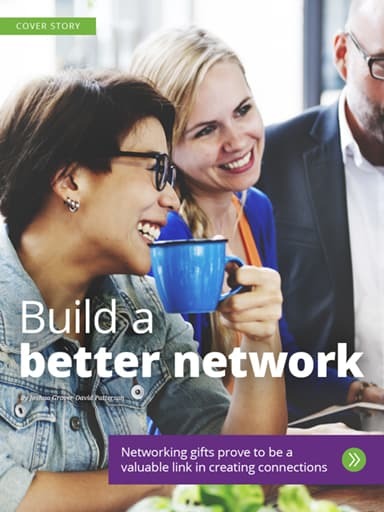 Knowing how and why to network can be a valuable tool in your business toolbox. Click here to learn tips and networking gifts to meet prospects and build your business. 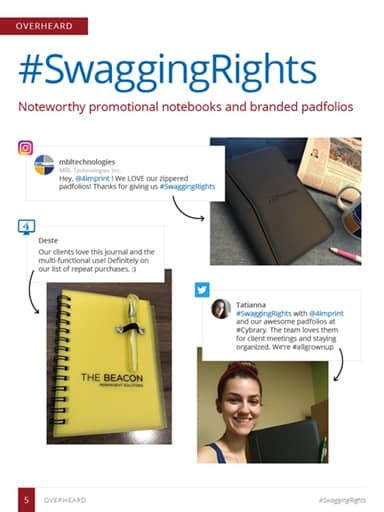 Click here to see the notable promotional notebooks and beautifully branded padfolios that are causing customers to scribble, scrawl, shout, and share their #SwaggingRights. 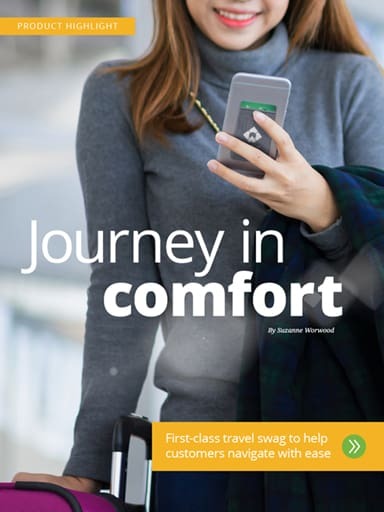 The best travel swag offers employees and customers comfort, convenience and peace of mind. Click here to find out how these business travel gifts provide all three with a first-class touch. Employee recognition gifts can play a part in company success. 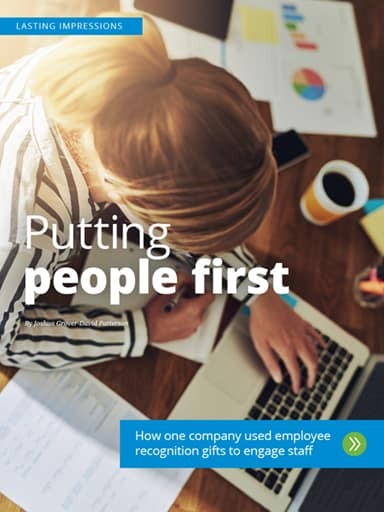 Click here to discover how showing appreciation can engage employees to improve your bottom line. 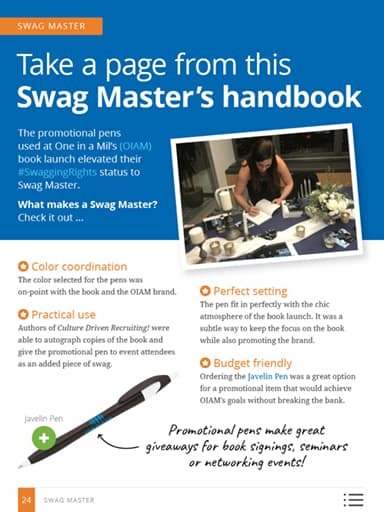 The promotional pens used at One in a Mil’s (OIAM) book launch elevated their #SwaggingRights status to Swag Master. What makes a Swag Master? Check click here to find out. It’s not just the teams that bring fans back for more. 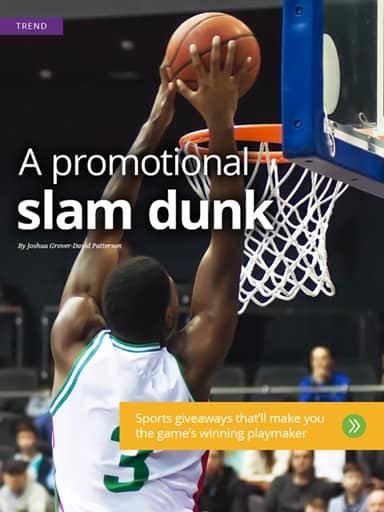 Click here to find out how a memorable theme and unique sports giveaways help you give sports fans a game to remember. 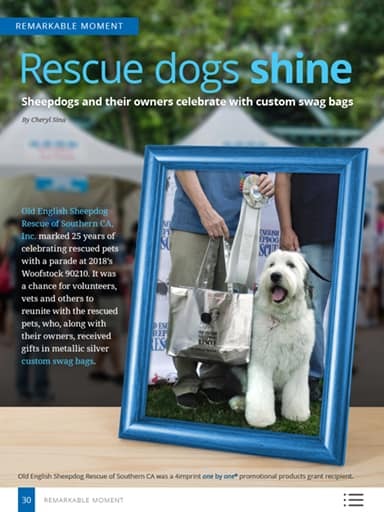 Old English Sheepdog Rescue of Southern CA, Inc. celebrated its 25threscue parade with silver custom swag bags. Click here to see how the bags perfectly matched the adorable pups.